Abstract. The evaluation and verification of landscape evolution models (LEMs) has long been limited by a lack of suitable observational data and statistical measures which can fully capture the complexity of landscape changes. This lack of data limits the use of objective function based evaluation prolific in other modelling fields, and restricts the application of sensitivity analyses in the models and the consequent assessment of model uncertainties. To overcome this deficiency, a novel model function approach has been developed, with each model function representing an aspect of model behaviour, which allows for the application of sensitivity analyses. 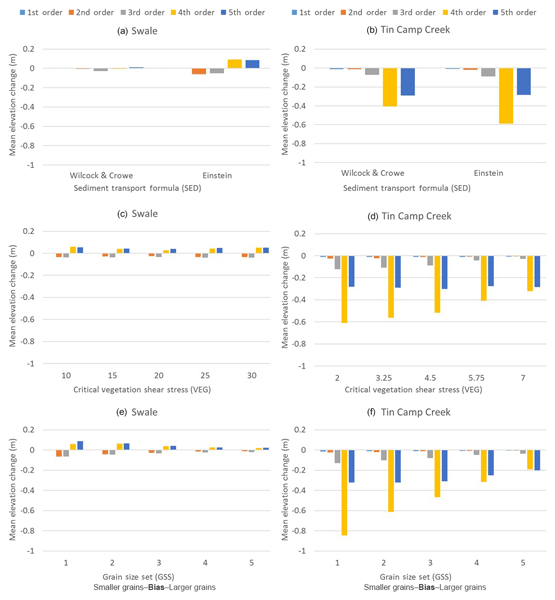 The model function approach is used to assess the relative sensitivity of the CAESAR-Lisflood LEM to a set of model parameters by applying the Morris method sensitivity analysis for two contrasting catchments. The test revealed that the model was most sensitive to the choice of the sediment transport formula for both catchments, and that each parameter influenced model behaviours differently, with model functions relating to internal geomorphic changes responding in a different way to those relating to the sediment yields from the catchment outlet. The model functions proved useful for providing a way of evaluating the sensitivity of LEMs in the absence of data and methods for an objective function approach. 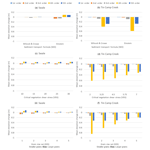 How to cite: Skinner, C. J., Coulthard, T. J., Schwanghart, W., Van De Wiel, M. J., and Hancock, G.: Global sensitivity analysis of parameter uncertainty in landscape evolution models, Geosci. Model Dev., 11, 4873-4888, https://doi.org/10.5194/gmd-11-4873-2018, 2018.